Meetings- oh meetings- they are an important part of our corporate life together. They are necessary if we are to proceed in a manner that respects the ideas and participation of each person and values the democratic process. So why do we groan at the thought of another meeting? 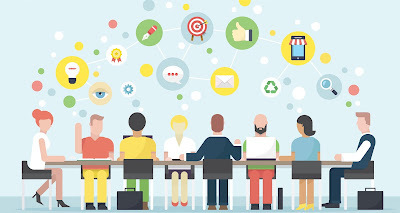 Because meetings do not always make the best use of the participants time and can be, except for the person presenting, a passive activity that ends up discouraging or de-incentivizing people rather than motivating and exciting its participants. I go to a lot of meetings every week. One study that I read suggests that the average executive spends at least half of her or his work time in meetings. I’d agree, that in my case that is true. If you add in the one-on-one meetings that I participate in every week, that percentage might climb to 75 or 80%. So what’s the point? Why do we meet? This is not an exhaustive list (what can you add?) and some meetings may include one or more of these purposes. In fact, if you reflect on the meetings that you’ve been to in the past week, which of these purposes would you select for them? One or more? The spring time in our calendar seems to a key meeting time in the year. In our diocese we have convocation meetings that gather our parishes together in their seven regional groups. 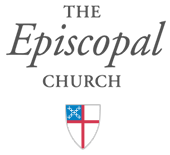 I’ve learned a lot about the various programs of different churches and regional groups and have great pride in how our Episcopal Church is participating in God’s mission across our diocese. One of our convocations spent more than an hour working with a guest presenter, The Rev. Jim Sasser-Strader, learning about adaptive leadership and exploring its identity as a convocation and working to discover a shared purpose. That group, the Harrisburg Convocation, had some good conversation at its meeting about how it might work together on a project supporting youth in the convocation, particularly focusing on the risks of drug use and addiction that is reaching epidemic proportions in our area. The Lancaster Convocation gave each parish a moment to outline its recent activities and they also talked about a shared mission project, ALERT (All Lancaster Emergency Response Team), and their collaborative RIM (Resurrection In Ministry) ministries. And just last night at the Southern Convocation meeting we heard from three clergy persons about some of their work in diocesan leadership roles, learning about the work of the Commission on Ministry, the Emergency Response Team and the Social Justice Committee. Because we are Christians, we pray at our meetings. Because we are church folk, we eat at our meetings. These are not add-ons, but important parts of what we do, as we ground the meetings in prayer, seeking and inviting the presence of the Holy Spirit in our gathering; and break bread, enjoying fellowship and community around the table. See you at our next meeting.